Following the debut of his very own TV Channel on Wii, Nintendo of Europe have announced that Nintendo 3DS owners can look forward to Game Boy classic Kirby’s Dream Land releasing for Virtual Console on the Nintendo eShop this week. 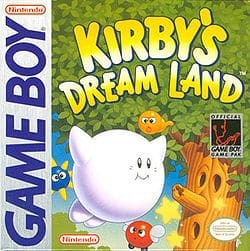 Kirby’s Dream Land is both the first title within the Kirby series, and also marked the debut of the popular pink ball. Players will find themselves tasked with navigating Kirby across the tranquil location of Dream Land as he aims to stop King Dedede and his band of thieves who have stolen the Dream Lander’s treasured Sparkling Stars. In Kirby’s Dream Land, you guide Kirby through a series of side-scrolling action stages. Kirby can walk, fly, inhale and defeat enemies – everything he needs to make it through to Mt. Dedede. An exciting new type of puzzle gameplay with a humorous, light hearted storyline that is sure to make you smile. A Fairy Tale is an unforgettable journey of enchantment. In “Successfully Learning German Year 3”, pupils will solve exciting exercises to learn German in a playful way. The little vampire Freddy motivates the children and helps with tips.